the school day begins with prayer, and prayer is woven into other aspects of school life. 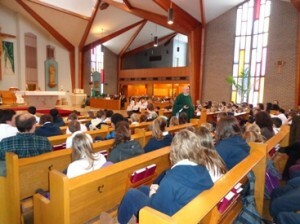 students receive regular religious instruction. 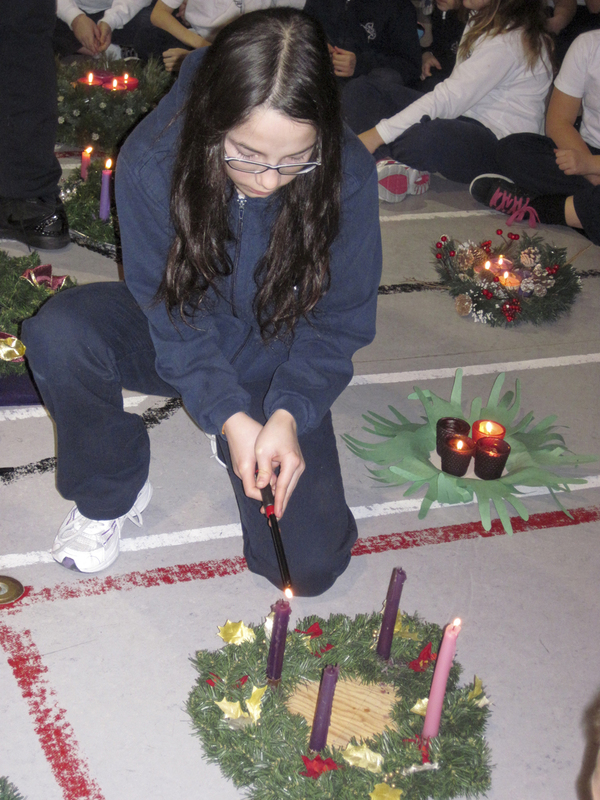 school masses are celebrated monthly in the parish church, and school assemblies and prayer services throughout the year focus on various high points and special days in the church/school year. All students, regardless of religious affiliation, are expected to participate in the religion program and in all faith celebrations. Arrangements can be made for students in higher grades that have not yet received a sacrament to prepare with the appropriate group.